KARONGA, Malawi, November 25, 2014 (ENS) – Paladin Africa Ltd, which mines uranium ore in Malawi’s northern district of Karonga, has come under fire from a coalition of Malawian civil society groups and chiefs over its proposal to discharge mining sludge into the Sere and North Rukuru rivers. The toxic substances that would flow from the tailings pond at the Kayelekera Uranium Mine into Lake Malawi 50 kilometers (30 miles) downstream include waste uranium rock, acids, arsenic and other chemicals used in processing the uranium ore, the coalition fears. Lake Malawi in eastern Africa is the world’s ninth largest lake, some 580 kilometers (360 miles) long, and 75 kilometers (47 miles) wide at its widest point. It extends into Malawi’s neighbors Tanzania and Mozambique. 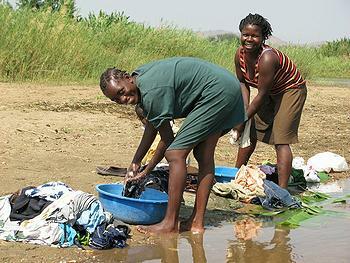 The lake provides water for drinking and domestic use to millions of Malawians. Part of the lake is protected as a national park, and it is inhabited by more than 850 cichlid fish species found nowhere else on Earth. Paladin Africa is the Malawi subsidiary of Australian mining giant Paladin Energy Ltd, with 15 percent owned by the Government of Malawi. 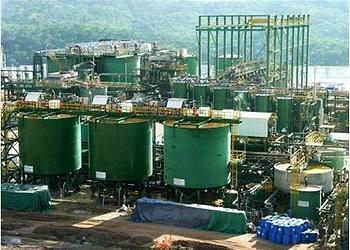 Last year, Paladin Africa’s Kayelekera Mine in Karonga produced 1,066 metric tonnes of U3O8, triuranium octoxide, a compound of uranium. One of the more popular forms of yellowcake, U3O8 is converted to uranium hexafluoride to make enriched uranium for use in nuclear power plants and nuclear weapons. The NRJN network, including local community members, Traditional authorities, faith leaders and concerned citizens in and around Karonga, issued a statement November 19 giving the company until November 26 to issue an official statement confirming that it will not discharge mining waste sludge into the rivers. “Paladin should inform the whole nation the actual reason why they would want to release water from the tailings dam. The tailings dam does not collect surface running water and as such there is no way the tailings dam would overflow because of just rainwater,” NRJN said. Paladin claims the mining wastewater to be discharged would be managed to meet the World Health Organization drinking water guideline for uranium, which is 30 micrograms per liter. Paladin officials said that there would be no risk to people drawing water for domestic purposes from the river system downstream from Kayelekera Uranium Mine, nor any threat to the environment. But the NRJN coalition is not persuaded by the company’s assertions. The NRJN statement cites “confirmed reports” that the Kayelekera Tailings Storage Facility is holding a very high grade of uranium ore, which had to be dumped because of complications in extracting the uranium. All of the uranium present in the ore cannot be extracted due to technical limitations, the coalition maintains, so the waste sludge still contains five to 10 percent of the uranium initially present in the ore, which poses a radioactive threat to humans, animals, fish and plants. The coalition says Paladin’s fears that the mine’s tailings pond could overflow, indicates major flaws in its design and construction. The NRJN says it is “shocking and inhumane” for Paladin to put the lives of millions of Malawians at risk as a result of the company’s failure to plan properly. “We therefore ask Paladin to build a second tailings dam as was the initial plan and consequently refrain from this malicious practice of discharging radioactive effluents into the river systems, which would subject lives of innocent Malawians to a series of acute and chronic health effects,” the NRJN said in its statement. Health hazards to humans exposed to high levels of radiation include lung cancer, skin cancer and cancer of the throat, among other illnesses. The coalition is calling for an independent team of chemists to conduct studies of the lake to ascertain whether effluents proposed for discharge from the mine are indeed safe. Paladin Africa issued a statement in February that due to the sustained low uranium price, processing would cease at Kayelekera and that the site would be placed on care and maintenance. Following a period of reagent run-down, processing was completed in early May. The company said it expects production to resume once the uranium price provides a sufficient incentive at around US$75 per pound and grid power supply from the Electricity Supply Corporation of Malawi replaces the existing diesel generators with low-cost hydroelectricity.